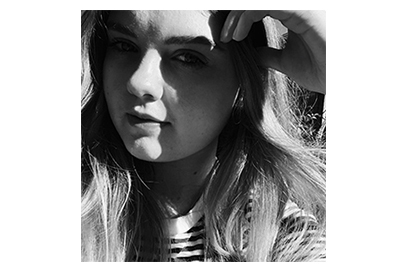 Reading List | March | emma etc. Another month, another pile of books to read. As I've just started Uni, I don't think I'll get through as many books as I have the past two months because I'll have to read more theorists than YA authors. Nevertheless, I have a few books here to talk about which I'm planning to read. A feminism one, a contemporary, and a mental-health memoir. I Call Myself a Feminist by Victoria Pepe, Rachel Holmes, Amy Annette, Alice Stride and Martha Mosse (all editors) - I will be reading this in March alongside others in the book club The Feminist Orchestra, created by Jean Bookishthoughts. As you may know, Emma Watson created a book club recently called Our Shared Shelf, and while I love what Emma's doing, I think a smaller book club is more accessible to follow along with and discuss the books with people. This book looks like a great starter into Feminism as I haven't read too much feminist literature yet. I will definitely be reading more feminist books this year. Reasons to Stay Alive by Matt Haig - I read The Humans by the same author last year and absolutely loved it. I kind of regret not talking about it a bit more or featuring it in my yearly faves, so here's that shoutout I've yearned to make. Reasons to Stay Alive is a non-fiction memoir of sorts surrounding the theme of mental-health and depression. I have seen a few people saying they loved this and couldn't put it down so I'm hoping I'll join them soon. 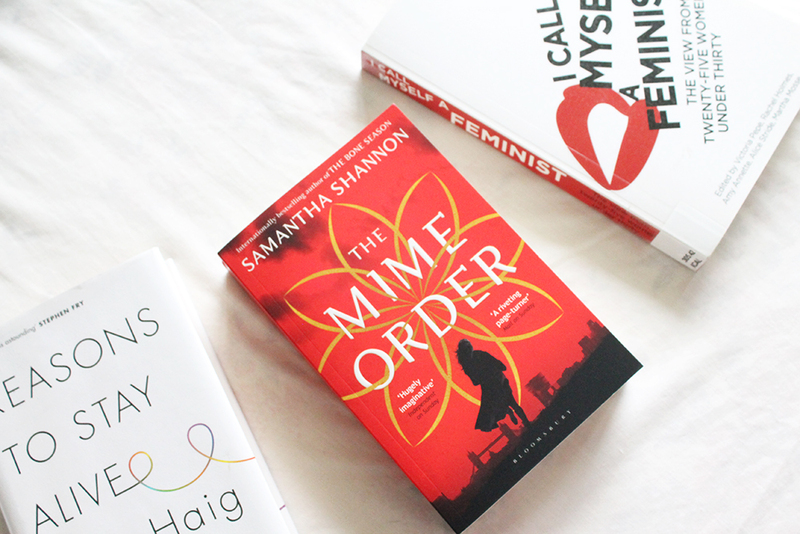 The Mime Order by Samantha Shannon - I read the first instalment of this fantasy series in December so it seems apt to pick up the second book as soon as possible. While I didn't absolutely love The Bone Season (the first book), I still liked it enough to continue with the series. There is quite a lot of terminology and elements to wrap your head around in this world, but without spoiling anything the basic premise of this book is people are trapped in another society from the world of Scion, where they possess different abilities that the 'government' of sorts covets. I think if I can I will definitely pop in another book (or maybe even two) to read this month, it just all depends how much time I have. Do any of these books catch your eye?